Codfish is one of the most versatile fish in the world. It is used for fish sticks, fish filets and can be eaten fried, baked, boiled and broiled. Cod is salted for preservation and can be used in numerous recipes. This mild fish is a popular and affordable choice. Consider one of the many codfish recipes that are available the next time you want to make a seafood dish. Since cod is easy to work with, it can be used in almost any fish recipe. It will hold together well when used as a filet for grilling, can be flaked in chunks in salads and will stay intact when used in a soup or chowder. Salted cod is preserved and a popular items for Mediterrean and Italian dishes. When using salted codfish for any recipe, be sure to soak it in water overnight and then boil it. Many people who are not big fans of fish may find that they enjoy codfish due to its mild flavor. When selecting fresh cod, be sure to look for light color filets that do not smell fishy. 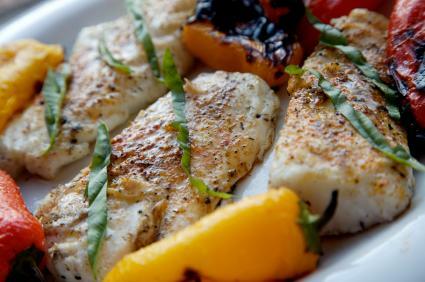 Codfish can be used alone in a recipe or can be paired with a range of ingredients such as grapefruit, spinach, tomatoes, potatoes and even capers. You will be surprised at the range of recipes that can be made with this popular fish.